Isn’t it true that Happy Valentines wishes become really significant when they touch the innermost reaches of our hearts–where their right-ness resonates?! Tia Marta here sending heartfelt wishes to you blog-readers and appreciators of the desert’s wild foods, with hope and intent that we all may harvest honorably. Here’s an idea for celebrating love for Mother Earth and indigenous people’s knowledge of Her…. 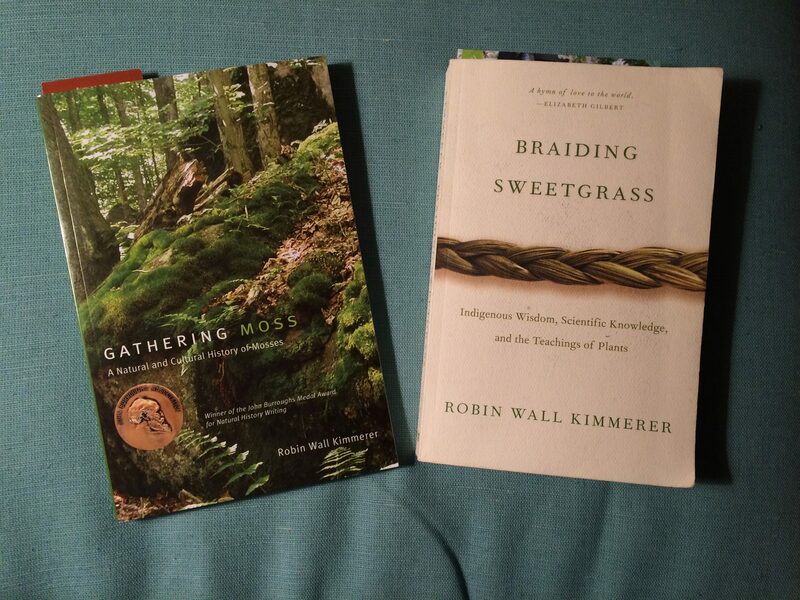 Truly a “hymn of love to the world,” Braiding Sweetgrass by Dr. Robin Wall Kimmerer is the most gently inspiring book I’ve read in a long time! It is a perfect Valentine’s gift to a harvester you love–or a gift for yourself for love of Nature. 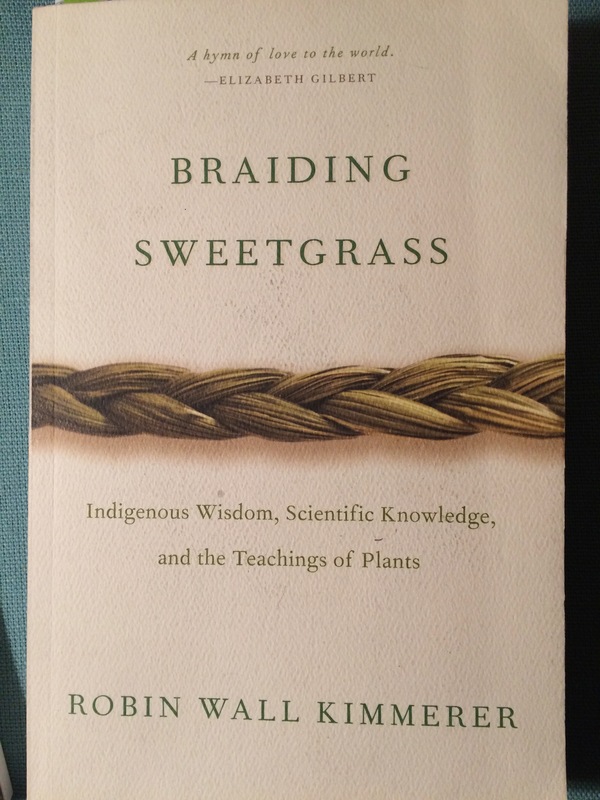 In her Braiding Sweetgrass: Indigenous Wisdom, Scientific Knowledge, and the Teachings of Plants, Dr. Robin Wall Kimmerer weaves a tight yet graceful cord of truth that rings true. There is strength when the three “strands of knowing” are braided as one. In particular, her chapter on the Honorable Harvest strikes a resonant chord. For a stirring verbal version, check out Dr. Robin Wall Kimmerer‘s TED Talk about The Honorable Harvest. You can view her video here. It is well worth watching her 18 minute presentation over and over. Her lessons taken to heart are a fitting and beautiful model how we might live WITH and WITHIN our beloved desert–sustainably–assuring that desert life can evolve and thrive into an unknown future. Kimmerer’s books can be found locally at Antigone Books, 411 N.4th Ave. They are traditional knowledge and hard science expressed as intimate, personal stories. at University of Arizona’s Desert Laboratory, Tumamoc Hill (W. Anklam Road near St.Mary’s Hospital), 6pm. It is free — but space is limited so immediate registration is necessary by phoning 520-629-9455. Plan to park your car along Anklam Road leaving time to walk up to the stone building for her presentation. There is a chance that UA may provide van transport from the base of Tumamoc. To scale the Hill may take 1/2 hour walking the newly paved road. Inspired by her….Last August–in the desert’s extreme heat–I was harvesting bags of plentiful prickly pear tunas with great respect and gratitude, not to mention awe and incredulity, as honorably as I could, amazed that these succulent “creatures” can produce good food while enduring awesome heat and blasting sun. 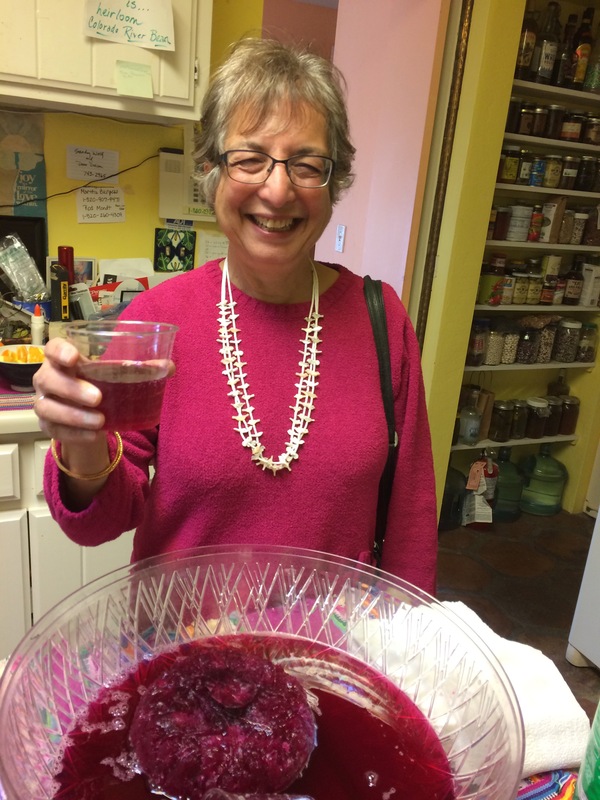 Last weekend, after the squeezed juice had rested in my freezer some 5 months, I brought them out to serve at my ArtTrails Open Studio tour– an artistic opportunity to share the desert’s plenty. 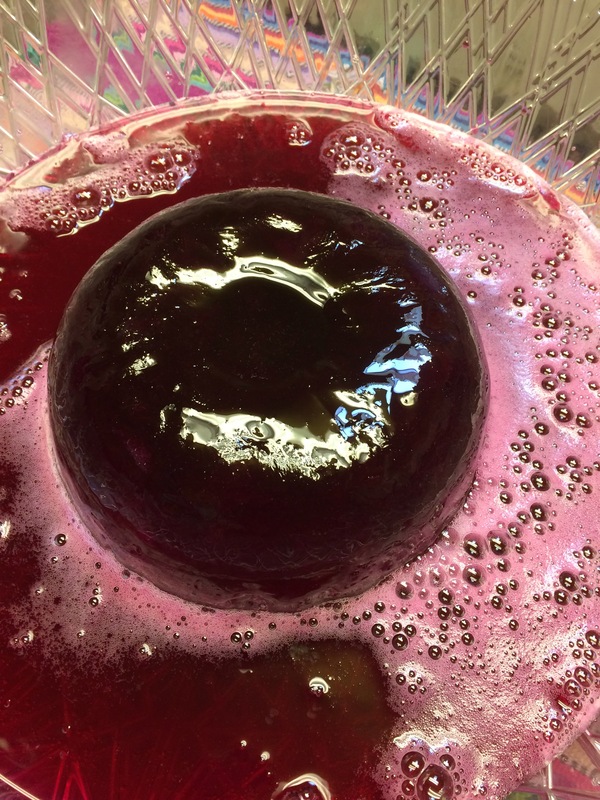 Sensational bright pink-purple prickly pear juice frozen in a round mould makes a festive”float” in a punchbowl for Valentine’s Day or any party punch. At harvest, I had frozen the whole tunas in a paper sack, double-wrapped in plastic. Later, to extract the sweet juice and pulp, I had thawed them, mashed them, whirled them to slush in the Cuisinart, then squeezed the slush through 4 layers of cheesecloth, into round plastic tubs or moulds to freeze indefinitely as ice-rings. At serving time, I slipped a frozen round out of its mould–as an ice-block–into the punch bowl, then simply poured gingerale into the bowl to start the block melting. VOILA–we all enjoyed the colorful gifts of festivity, flavor and nutrition. Nature graces the gathering! You could embellish this prickly pear punch with spirits or wine, but hey that’s only adding to natural perfection–wild-harvested gifts from the desert! Kimmerer’s poetic expression of ancient wisdom resonates. It strikes home–an inspiration to harvest our wild desert foods not only with immediate gratitude but also with the future of the desert ecosystem foremost in our hearts and actions! So, Happy Valentine’s to you, and happy wild-harvesting this season with good heart!